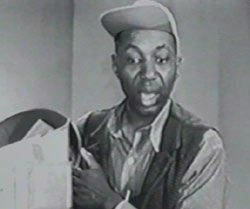 Nick Stewart is most famous for his role as the janitor Lightnin' in the 1950s television series Amos 'N' Andy. Lightning was a Step'n Fetchit-like character. He was dull witted and slow of speech. He moved like "molasses" (not lightning). He played one of the most demeaning roles -- but was not without self-awareness. Nick Stewart says he took the role because "I couldn't have learned without an opportunity to play these roles, but I saw how this was poisoning the black community." 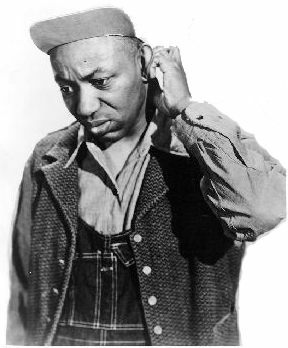 Born Horace Winfred Stewart on March 15, 1910 in New York City, Nick Stewart was an actor, teacher and cultural/community activist. He was one of the first inductees in the Academy of Television Arts and Science's new Archive of American Television. 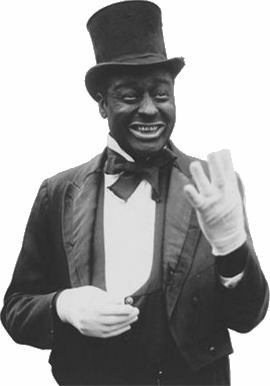 Stewart first entered show business as a stand-up comic. Nick used various names, including Nicodemus Stewart, in a career that began in the 1930s and lasted for decades. He made his first movie appearance in 1936’s Go West Young Man. He was the voice of Br'er Bear in Disney's Song of the South (1946). Nick lent his voice talent once again to Disney for the Splash Mountain attraction at Disneyland. He supplied the voice of Bre'r Bear for the ride as he did for the animated film Song of the South. With the money he earned from doing Lightnin' on Amos 'N' Andy, Nick Stewart and his wife Edna founded the Ebony Showcase Theatre in Los Angeles which provided a venue for numerous black performers, included John Amos, Nichelle Nichols and Isabel Sanford. He told the L.A. Times in a 1993 interview: "I was Lightnin' by day, but I put on serious Black theater by night." The theatre closed in 1996. Stewart had a memorable cameo in It's A Mad, Mad, Mad, Mad World, as the driver of a truck who, with his wife, is forced off the road and down an embankment by the treasure hunters in the zeal to find the buried treasure. He died at the age of 90 on December 18, 2000 in Los Angeles, California.